The FNAWN delegation consisted of writers who have established careers or are highly regarded as evidenced through recent winning and shortlisting of major Australian and international literary awards. The delegation included FNAWN Executive Director Cathy Craigie, Tony Birch, Jeanine Leane, Dub Leffler, Bruce Pascoe, Ellen van Neerven and myself, Jared Thomas. Each writer is experienced in presenting at Australia’s premier writers festivals but we didn’t anticipate the scale and grandeur of the U.S. National Book Festival. Our introduction to the Festival commenced with a reception hosted by Caroline Millar, Deputy Chief of Mission, Australian Embassy, Washington, where we were introduced to National Library of Congress, U.S. National Book Festival staff and first nations literary figures. The hospitality was incredibly warm and it was evident that there is great interest and support for FNAWN activities. Our introduction to the Library of Congress was also auspicious as upon arrival at the gala event we had opportunity to meet with American Poet Laureate Juan Felipe Herrera, America’s first Mexican-American Poet Laureate. Not one of us had much sleep following the festival Gala dinner. 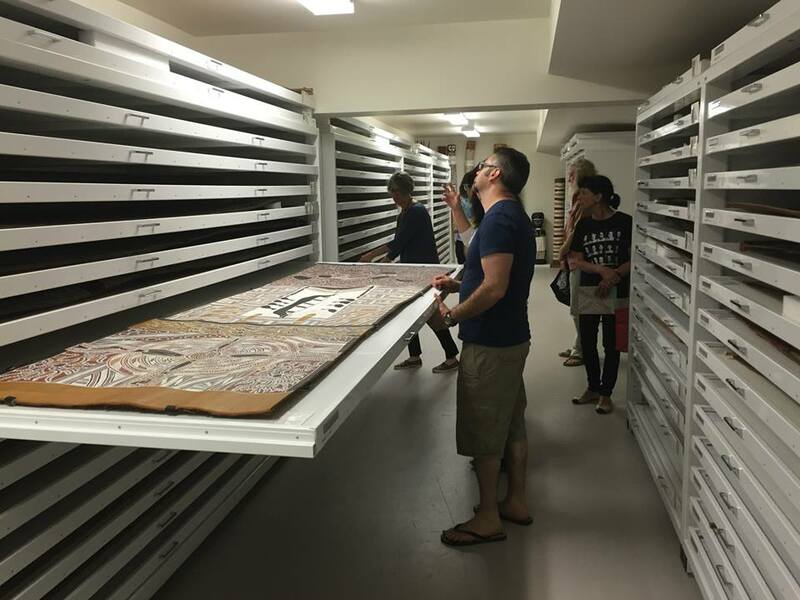 Our adrenalin pumped from visiting the nation’s oldest federal cultural institution, the largest library in the world, and rubbing shoulders with some of the world’s most highly regarded writers. Adrenalin continued to race through our veins when encountering the reality of the reality of the U.S. National Book Festival. At least a thousand of people filled one of the seven salons during the first session of the day where first nations writer Louise Erdrich was awarded the Library of Congress Prize for American Fiction. The salons remained continuously full throughout the day. To further provide a sense of the scale of the festival, it took fifteen minutes, to walk from the green room to the book sales point in a space resembling an airplane hangar at least twice the length of the MCG. FNAWN delegates presented three panels at the U.S. National Book Festival, expertly facilitated by FNAWN Executive Director Cathy Craigie and very well received by readers, students and academics interested in our people, culture and works. Time in Washington around the U.S. National Book festival was spent meeting with First Nations people and organisations including the National Congress of American Indians, Embassy of Tribal Nations, Lee Francis, National Director of Wordcraft Circle of Native Writers and Storytellers and the Smithsonian National Museum of the American Indian. Each of these experiences provided the opportunity to advocate for further collaborations between FNAWN members and American First Nations communities and to reflect upon Australian politics and our position within it. Time on the road provided opportunity to get to better know each of the writers and learn from their incredible experiences and knowledge. There was plenty of time for this as we drove to Charlottesville Virginia with raptors soaring above and cornfields and churches whizzing by. Charlottesville Virginia presented opportunity to meet with and present with remarkable First Nation American writers Deborah Miranda and Karenne Wood at the University of Virginia and to visit the remarkable Kluge-Ruhe Aboriginal Art Collection of the University of Virginia which houses one of the finest Indigenous Australian art collections in the world, rivaling many of the collections held in Australia. We spent an amazing afternoon with the Authors Guild in New York on September 11, learning about each other’s businesses and having a great lunch in an Arabic restaurant complete with a belly dancer. The lunch ended with FNAWN delegates and Authors Guild staff taking to the floor, our dance symbolic of the comfort in each other’s company. Time in New York provided me the opportunity to meet with one of the big mainstream U.S. publishers. They had been in touch independent of FNAWN but standing on the street, alongside their iconic office building, looking down Fifth Avenue toward the Empire State Building, I asked myself, ‘how in the hell did I get here?’ There’s a whole lot of factors in that equation but it’s clear that FNAWN Executive Director Cathy Craigie and Chairperson Kerry Reed-Gilbert have played a large role in my writing journey. 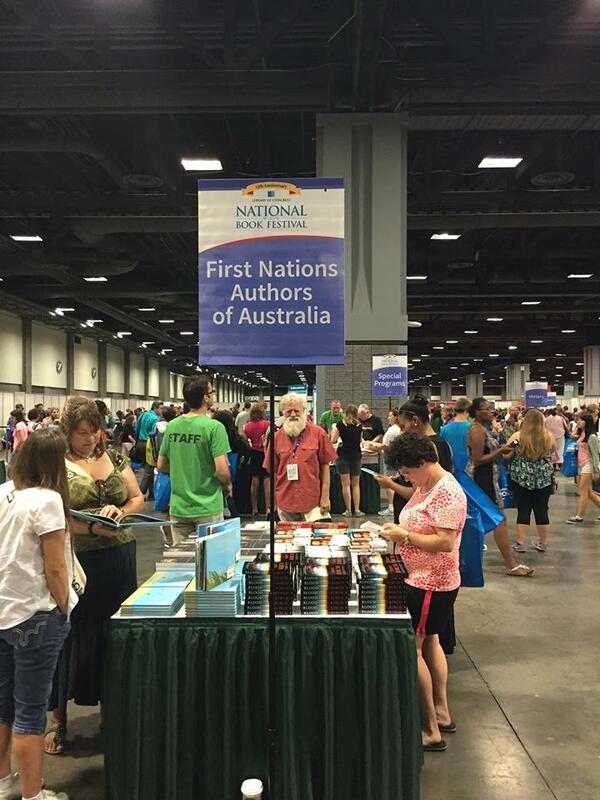 FNAWN is the consolidation of their vision and participation at the 2015 U.S. National Book Festival part of the broader vision for Aboriginal writers and literature. It is very difficult for international writers, especially Australian writers to break into the U.S. market but experiencing the literary offerings and opportunities of America with my esteemed colleagues, it is clear that FNAWN is set to open up the world to Aboriginal and Torres Strait Islander writers in ways beyond what any of us have imagined. I anticipate that maybe one of the members from the 2015 delegation, or perhaps it will be the 2017 delegation, will make a splash in the U.S. and their success will benefit us all.